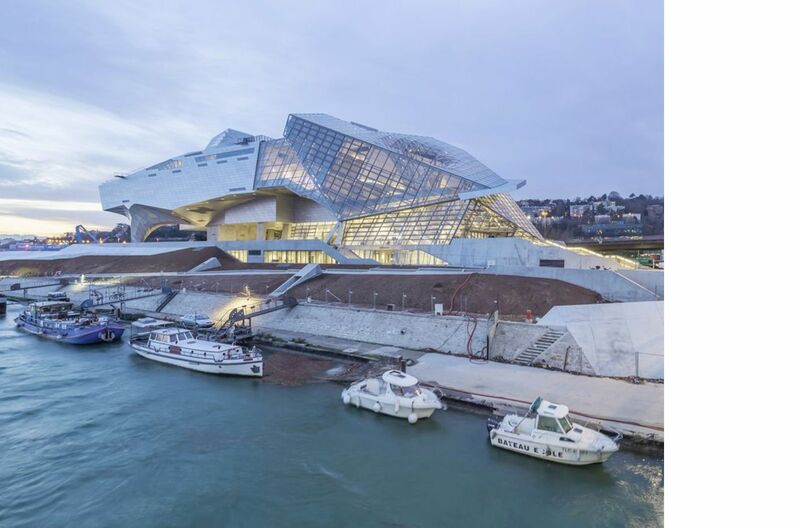 At the end of 2014, Lyon inaugurated the Musée des Confluences, a deconstructivist project by the Viennese Coop Himmelb(l)au. Part of the urban redevelopment project taking place in the area south of the city, the Musée des Confluences by Coop Himmelb(l)au portrays the themes of sustainability and innovation with symbolic and stunning architecture. The Musée des Confluences in Lyon was inaugurated at the end of 2014, part of a large-scale redevelopment project in the area south of the city, which bore the consequences of chaotic town planning for almost a century and a half, after the building of the new railway station which split Lyon in two. Coop Himmelb(l)au captures and interprets the wish of the institutions to make the Musée des Confluences a symbolic place, the culmination of the division between the undignified past of the area and the present which has started its enhancement by means of cultural and sustainable innovation. The theme of water, sublime and intensely real here in Lyon, is the starting point of reflection for the whole dockside area and particularly the Musée des Confluences, whose location is an artificial peninsula built roughly a hundred years ago south of the Perrache Station, exactly where the River Rodano joins Saona, its tributary. Being a cultural centre dedicated to the history of Man, his scientific and technological discoveries over the centuries and the combination of these developments put to use in a new future for Mankind, the Musée des Confluences is conceived as a museum open to all and requires a vivid image of astonishing impact from its architects. Winners of a competition announced in the far away 2001, Coop Himmelb(l)au plans a construction where high technology is functional in order to reduce its energy impact and creates a highly dynamic blend of formal design in the deconstructivist style. This complex, whether seen from the outside or through its internal areas always seems on the point of changing its appearance and shape, and is presented as a symbolic entrance to the city and its history. As such, the building is designed with no definite arrival or departure point from any prospective but as a flowing architecture to wander through. From the compositional point of view, it is made up of three fundamental parts called the Crystal, the Cloud and the Base. The first one is a glass facade, showing glimpses of the internal itineraries, supported by a double tubular steel frame. Attached to the Crystal is the Cloud, which houses the exhibition galleries and is more enclosed and personal. It includes a bridging structure made of twelve pillars and three cement towers holding the emergency stairs. Due to this structure the exhibition block is separate from the Base, creating an underlying public space, where water is present, yet again, in the form of a pond which accompanies the pedestrian pathway and preludes the confluence of the rivers. Many energy efficient techniques have been used keeping in line with the philosophy of green architecture. For example, the Crystal uses natural ventilation thanks to internal air vents inside the glass facade facing east and evacuation points on the roof. Then, the shell that clads the exhibition galleries is made of 3mm stainless steel panels which are exceptionally efficient for thermal insulation. Finally, all the main entrance areas are illuminated by daylight and aquifer water is used for sanitation purposes.